Debbie Kohl returns to Broward Health as a member of the Foundation Board of Directors having previously served as a commissioner on the North Broward Hospital District where she was also secretary/treasurer and chaired the Advisory Committee. 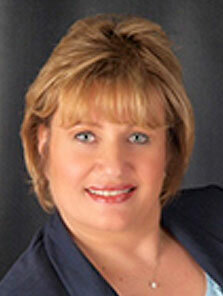 Debbie is currently senior vice president and chief accounting officer for BankFlorida located in Palm Beach Gardens. She has held a number of executive positions in the banking industry including, executive vice president and chief financial officer for First Green Bank in Fort Lauderdale; vice president and controller for Northwest Federal Credit Union headquartered in Herndon, Virginia; and executive vice president and chief financial officer/chief operating officer for Broward Bank of Commerce in Fort Lauderdale just to name a few. Debbie earned a bachelor’s degree in Business Administration from the University of Central Florida, a master’s degree in accounting from Nova Southeastern University and attended the Graduate School of Banking at Louisiana State University. She is very active in her community, previously serving as a trustee for the Fort Lauderdale Museum of Discovery and Science and volunteering with the Florida Credit Union League and the IRS Volunteer Income Tax Assistance Program.